12. 02. 2017 13:54 18 (2 - Tänak Ott / Järveoja Martin): I stalled the engine in a junction and stopped for some time. Generally a good weekend. It was a new experience opening the road on Friday and yesterday we were quicker which is good for the confidence. We know where we have to improve. I've got a good feeling from Sweden and and will have another good push in Mexico. It's been a good start to the season. 12. 02. 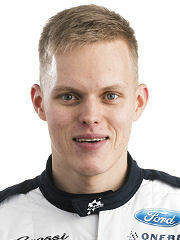 2017 13:43 17 (2 - Tänak Ott / Järveoja Martin): I have no choice but to settle for second. I'm trying my best but we're just not competitive enough today. 12. 02. 2017 13:34 16 (2 - Tänak Ott / Järveoja Martin): It's a big fight but I'm not happy in the slow sections, the car wants to spin all the time. We need to speak to the engineers. 11. 02. 2017 15:45 14 (2 - Tänak Ott / Järveoja Martin): Wide on one corner near the end but a good clean run. I saw Paul in the stage waving at us to slow down. 11. 02. 2017 14:45 13 (2 - Tänak Ott / Järveoja Martin): Really good grip and I'm trying my best. It's difficult because everybody is trying. 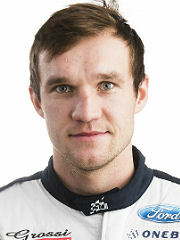 Can I catch Jari-Matti? I'll keep pushing and see what happens. 11. 02. 2017 10:48 11 (2 - Tänak Ott / Järveoja Martin): Big battle. It needs to be perfect and so far we have done a really clean job. 11. 02. 2017 10:31 10 (2 - Tänak Ott / Järveoja Martin): Nice, consistent grip today, much better than yesterday. 11. 02. 2017 10:20 9 (2 - Tänak Ott / Järveoja Martin): I didn't feel so confident...so only clean run. 10. 02. 2017 17:32 8 (2 - Tänak Ott / Järveoja Martin): It was difficult to be first on the road, and I'm really pleased with what we've been able to do today. I was pushing really hard here to get the best start position on Saturday. We managed to get one place so it should be better tomorrow. 10. 02. 2017 16:11 7 (2 - Tänak Ott / Järveoja Martin): Difficult with so much loose snow on the surface and maybe the tyres starting to wear too. Very slippery. 10. 02. 2017 14:46 6 (2 - Tänak Ott / Järveoja Martin): I'm not fully happy. There is a lot of fresh snow on the top here, it's very slippery. Also I made a few mistakes - went wide in a few places. 10. 02. 2017 13:37 5 (2 - Tänak Ott / Järveoja Martin): The car is fine now. Not much grip at the rear, but the stage was ok.
10. 02. 2017 09:24 3 (2 - Tänak Ott / Järveoja Martin): Very slippery near the start, then I got stuck between two gears. I don't know what was happening, it was distracting. 10. 02. 2017 08:16 2 (2 - Tänak Ott / Järveoja Martin): Bloody slippery. And it's difficult to see in this level of daylight. 09. 02. 2017 20:50 1 (2 - Tänak Ott / Järveoja Martin): It's getting loose in some places, really tricky and difficult to manage. I'm happy to start the rally like this.